Plant ht. - 4' Blooms 8"
Vibrant colors, hardy plant. 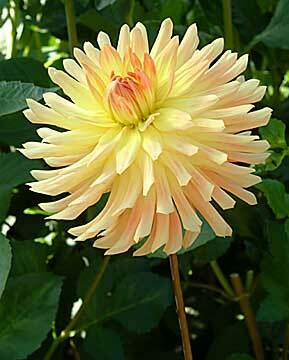 One of our favorite new dahlias in 2005.